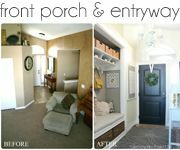 I'm not sure if you've caught the last few articles that we've posted over at Homes.com, but more than one are focused heavily on getting ready for warmer weather! 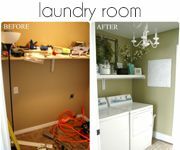 Usually when Spring comes, the process of getting your home freshened up and reorganized from the long, cold winter months also follows behind it. 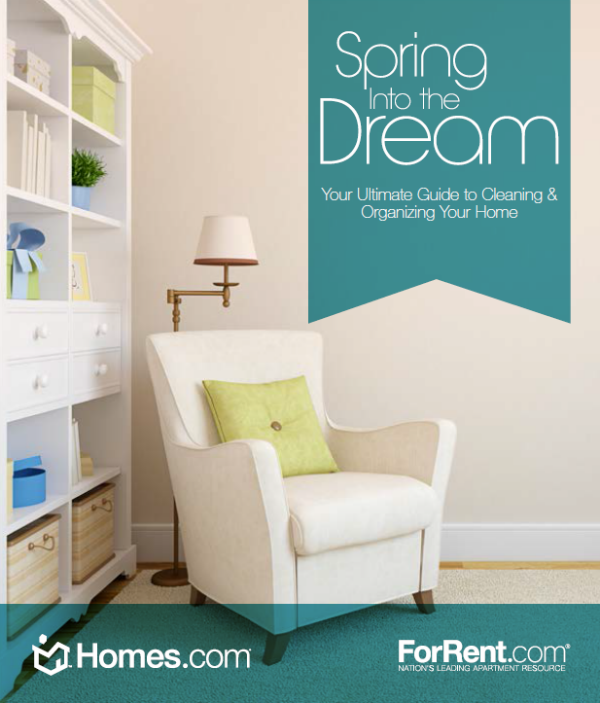 That's why I'm excited to share with you the new Homes.com Spring into the Dream, free downloadable guide that covers a bunch of helpful, great tips on Spring cleaning and organizing this season! You'll find info included on how to best de-clutter your kitchen, ways to find and maximize your current living space and even tips on how to stay green while preparing for a big move! 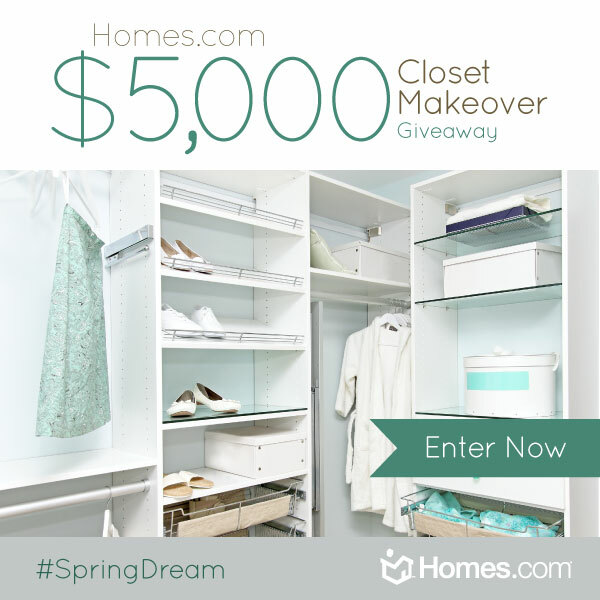 Also, don't forget to head on over to enter for a chance to win a $5,000 closet makeover! You can read about all the details here. 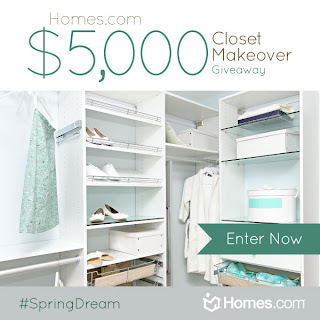 Thanks to Homes.com for all of their hard work on this great guide and for always offering up such awesome giveaways! Thanks for sharing Shelley, off to read the guide. I love all these tips! 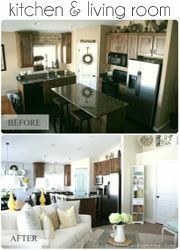 I am in the process of recreating my house right now and it can be so stressful! 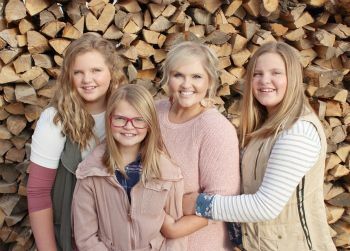 Since I know you at in Utah, you should check out the Overstock.com store (if you havent alrwady) in Sandy. They have soooo much great furniture for incredible prices. I just bought a chair their and paid $40 and when I got home and looked it up online it was marked at $182!! Teu also regularly hangs out merchandise (4 tricks a week!) and there are almost always %20 off coupons in the hometown values magazine that comes in the mail. I loooove shopping there. 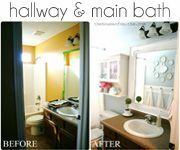 Anywa, that ended up a little long but I love your blog and seeing all your awesome decorating tips and I think you have a beautiful life!